2017 Nashville Navy Party Update! 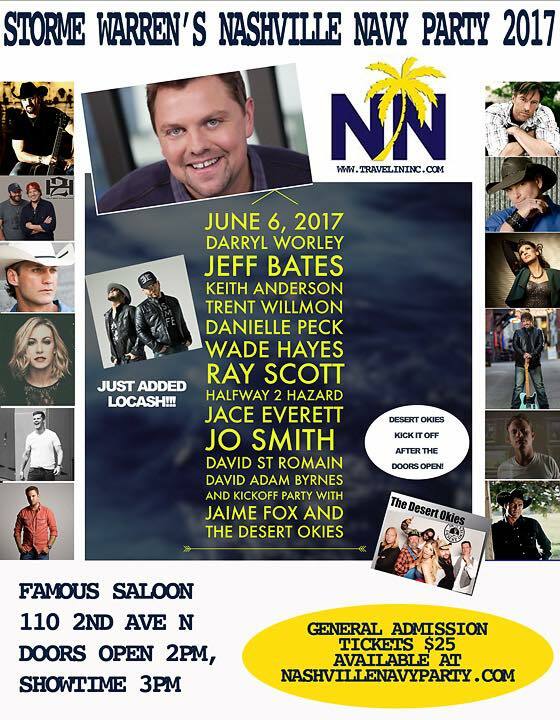 Storme Warren's 2017 Nashville Navy Party has been bumped up and will now begin at 3:00 PM (Doors at 2:00PM)! 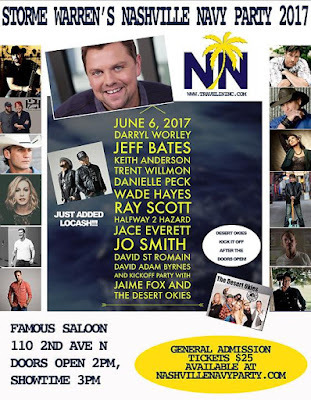 Artists confirmed to play include : Darryl Worley, Jeff Bates, Ray Scott, Wade Hayes, Trent Willmon, Halfway 2 Hazard, Jace Everett, Danielle Peck, David St. Romain, David Adam Byrnes, Jo Smith, LOCASH, and Kickoff Party With Jaime Fox and The Desert Okies.